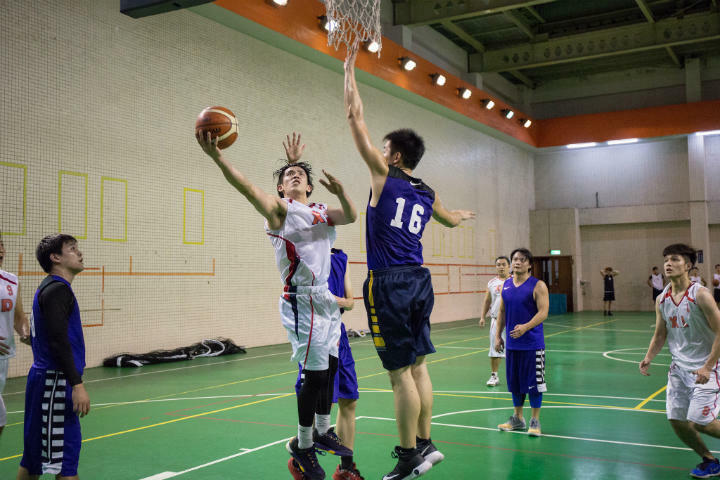 Players who are able to score from post moves are rare in today’s game. Guards would bring the basketball up the court, throw the ball inside to the team’s post players, and then these ‘bigs’ would then use their power and strength to score in the paint. But in this age of basketball, guards have taken over as the dominant position. Scoring in today’s game comes mostly from long-range shots and dribble penetration. Rarely does the basketball get passed into the low post. And when it does, very few players have the skills to score consistently from the post up. Just as the skill of posting up has decreased, so has the skill of defending the low post. This leaves a big opportunity to become one of the few dominant low post players for whoever is willing to put in the time to improve in this area. These skills are especially important for youth players where outside shooting is poor and most of the game’s points come from around the rim. 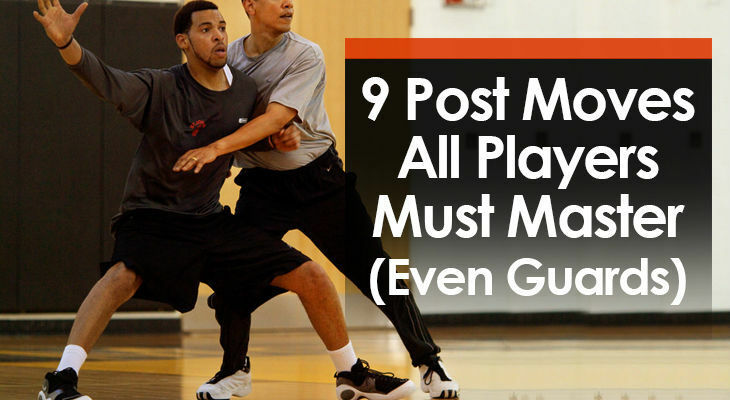 Below I’ll share the 9 post moves every player should have in their bag of tricks. The simple jump hook is the #1 post move every player should have in their bag of tricks. The best time to use this post move is when the basketball is deep in the paint. 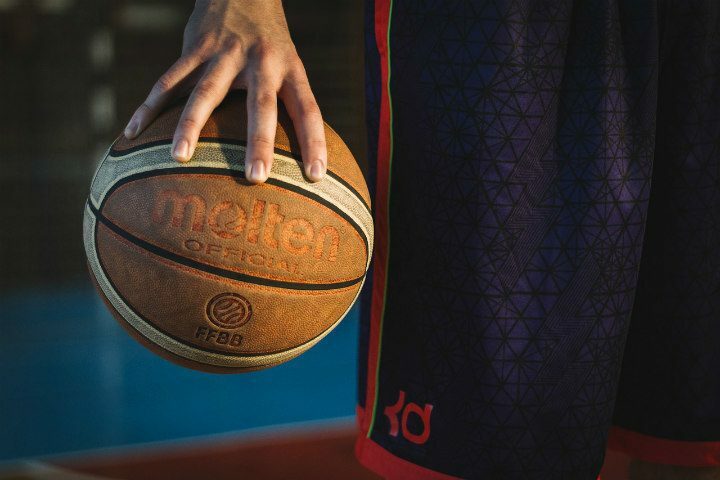 After you’ve caught the ball inside or backed your opponent down, simply turn sideways to the basket (right or left), bring the ball up, and then flick your wrist to put the basketball in the hoop. Catch the basketball on the left block in a low, wide stance. With your back to the basket, give a quick ball and shoulder fake to the right before taking one or two dribbles towards the middle. In this situation, you should come to a two-foot jump stop with your chest facing the sideline and inside shoulder parallel with the hoop. The Kevin 'Post Moves Master' McHale special. The up and under post move is the perfect counter move after you’ve made a few hook shots. Your defender will anticipate a small jump hook and will be ready to jump out of the gym to block your shot when they get another chance. Instead of going up for the jump hook, you fake the shot, step through, and finish with a wide open layup as the defender floats in the air wondering what happened. Same as the jump hook, come to a two-foot jump stop with your chest facing the sideline and inside shoulder parallel with the hoop. But instead of shooting, trick your defender by giving them a shot fake to get them in the air. Then, with your left foot as your pivot foot, step through with your right foot and finish with a wide open left hand layup at the rim. The drop step can be a deadly weapon in your post move arsenal. It’s not a complicated move, but it requires a player to quickly read the positioning of their defender and execute the drop step at exactly the right time. If a player doesn’t time it correctly, they’ll end up charging straight into the defender or getting their shot pinned against the backboard. For the drop step to work, you must get the defender to commit to one side, extend your foot backwards as you take a dribble, and then use your body to shield the basketball. If executed correctly, the only way for the defender to recover and block the shot will be to go over your back leading to a foul. Turn towards the middle of the floor and take one or two dribbles to close the space between you and the defender. As you take the final dribble, extend your right leg back to the baseline side of the defender to establish this as your pivot foot. Swing your left leg and body towards the baseline to get by your defender. Protect the basketball with your body as quickly finish at the rim. This was the chosen move of both Michael Jordan and Kobe Bryant when they received the basketball in the low post area. It’s an advanced post move, but it can take your game to the next level if you can master it. The goal when shooting a fadeaway is to create enough separation between yourself and the defender to take an open jump shot. This is done by jumping away from the hoop. Take one or two dribbles backing down your opponent. With your back to the defender, use a quick ball and shoulder fake towards the middle of the lane making it look like you’re going to turn inside to shoot. Using your right foot as the pivot foot, swing your left leg around and then jump up in the air as you fade away from the rim getting ready to shoot. Allow your body to turn in the air as you square up to the hoop and then shoot the basketball. The quick spin post move should be made immediately after catching the basketball. It involves reading the defender before receiving the ball and noticing they’re bodying up and playing very close. And possibly even favoring one side. When you make the catch, immediately spin the direction you feel has more space. Depending on how far away you are from the hoop, you may have to take a dribble. As you roll off the opponent’s shoulder, they’ll be locked behind (similar to the drop step) and the only way for them to recover will be to foul you from behind. Before you receive the ball, you can feel the defender is playing close to you and favoring the high side attempting to deny the ball. While using your left arm for protection, you show the player with the basketball your right hand as a target to throw the ball to your right side. As you receive the ball, immediately spin towards the baseline using your right foot as the pivot foot. From here, you can finish with either hand depending on how far up the lane you were when you caught the basketball. This is one of the basketball post moves to use when you have a significant strength advantage over your opponent. It involves backing down the smaller or weaker defender until they’re close to the rim. From here, the offensive player can finish with a jump hook or simply turn around and put the ball in the basket depending on their height advantage. This can be a great option when an opposition guard gets switched onto a post player. Savvy guards will attempt to take a charge in this situation. Make sure you’re using your rear end to back down instead of drilling your shoulder into the opposition player. Keeping your rear to the opponent, start backing down closer and closer towards the rim. Once you’re close enough to the rim, shoot a short jump hook or simply turn around and put the ball in the rim. Made famous by Kareem Abdul-Jabbar, the skyhook is the most advanced post move in all of basketball. So advanced that no one has been able to make the skyhook shot consistently since Kareem retired from the league in 1989. The skyhook is shot off one leg. The skyhook is usually shot from further out. The game is now more three-point focused. Players don’t want to spend the time practicing the skyhook. It’s not a ‘cool’ shot to learn and take. If you’re one of the rare players who is willing to put in the work on this move, I’m confident it could result in a lot of points added to your game. With your back to the defender, use a quick ball and shoulder fake towards the baseline making it look like you’re going to fade away or attack the basket. Using your left foot as the pivot foot, swing your right leg around and drive it up into the air as you jump off your left foot. With your inside shoulder parallel to the hoop, raise the ball up and then shoot a long hook shot towards the rim. Facing up to your defender can be a great move if you can consistently make a mid-range jump shot or you’re faster than your opponent. To do this, receive the basketball one or two steps out from the low block. If you can make the jump shot, your defender will be forced to take a step closer to prevent giving you an open look. If they don’t, immediately raise up into your shot and kiss the basketball off the glass. Catch the basketball a step or two out from the low block in a low, wide stance. From here, you can use your left foot to forward pivot or your right foot to reverse pivot so that you’re facing your opponent. If they give your room to shoot and you can make the shot, raise up and shoot the basketball. Once you face up to your opponent, the other option you have is to attack the hoop past your defender using one dribble. You’ll get an opportunity to attack if the defender closes down the space between you and them or if they bite on a shot fake or jav step. One of the major benefits of attacking from such a close distance is that it will be very difficult for the defender not to foul when they challenge the shot. With good footwork and smart decisions, you can quickly get your opponent in foul trouble by facing up and attacking the rim. If the defender chooses to get close to prevent a shot, give them a quick shot fake to bring them out of their low defensive stance. This will allow you to quickly drive past them and finish with an open layup. But you need to be effective with several because you never know who’s going to be defending you during games and everyone can be exploited differently. 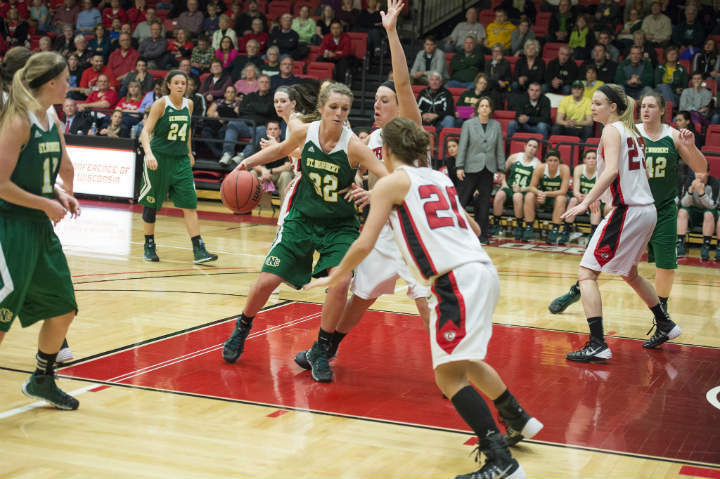 While you might prefer going to the drop step, if you’re being guarded by a tall player who chooses to step off, the drop step might not be effective. Instead, you must be able to step out and face up to continue scoring in the post. Having a wide variety of posts moves to use during games is important. Let’s bring dominant post play back to basketball.